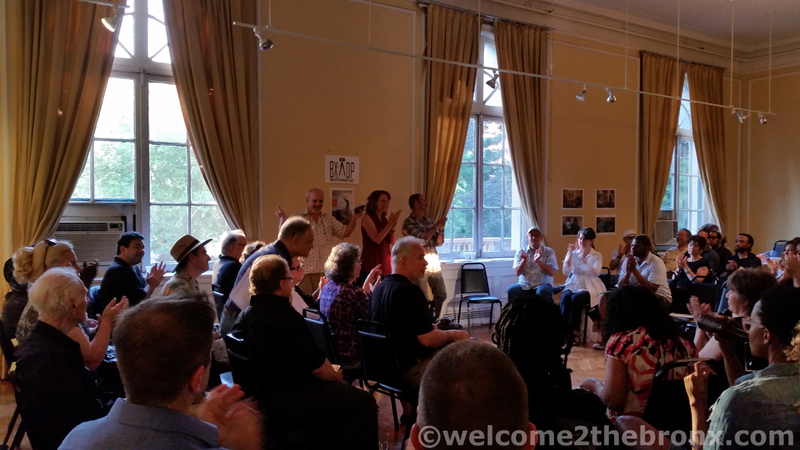 Yesterday evening participating photographers and artists of the Bronx Artist Documentary Project met for a meet and greet at the Andrew Freedman Home. This was the first time that almost all 100 members gathered since the project began last year. When the Bronx Artist Documentary Project launches its exhibition in September, it will be the culmination of 30 photographers documenting 78 Bronx visual artists in the midst of their individual and unique creative processes. The BxADP is the brainchild of Daniel Hauben, a Bronx born and raised artist who’s works have captured everyday Bronx life and landscapes with his signature and distinct style that is readily recognizable. The project is spearheaded by Daniel Hauben as Project Director, his wife Judith Lane as Project Coordinator, Michael Kamber, founder of the Bronx Documentary Center as Photography Curator, and sculptor, Jeanine Alfieri as the Artist Curator. 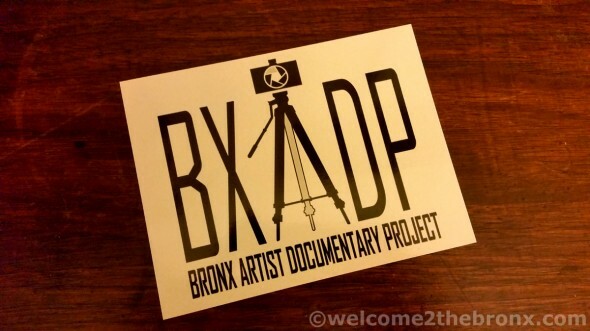 BxADP is an official Bronx Centennial Event celebrating the 100th anniversary of the creation of Bronx County and through its exhibition will highlight the diversity of local Bronx artists and photographers. The collective came together to bring attention to the wonderful, creative energy that exists in The Bronx yet is severely underrepresented in New York City art scene and the world at large. Our borough has produced some of the greatest names in all aspects of the Arts as well as influenced entire movements that have spread to every corner of the globe and The Bronx Documentary Artist Project seeks to give us a taste of just a tiny fraction of all that. The exhibition will run from September 11th – October 8th, 2014 at the Andrew Freedman Home at 1125 Grand Concourse. The exhibition will also have a wide variety of programming centered around it including a “Garden of Artists” event on Saturday, September 27th that will be held outdoors on the lawn of the Andrew Freedman Home where visitors can witness first-hand the creation of art by participating artists. Stay tuned to Welcome2TheBronx as we get closer to the opening reception for a full detail of events. 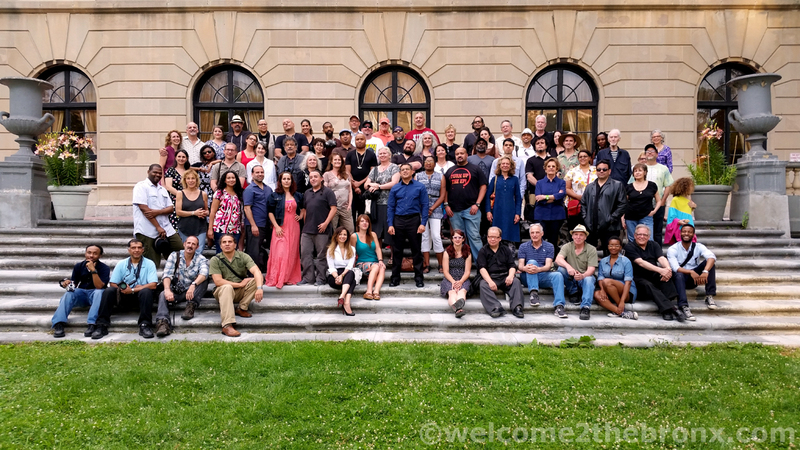 The Bronx photographers and artists of the Bronx Artist Documentary Project pose for their first group picture. Bronx photographer, Adi Talwar was on hand to document the evening as well as take portraits of the participants of the Bronx Artist Documentary Project. Donate School Supplies to Bronx Youth! FREE Halloween Portraits for Bronx Residents at The Bronx Documentary Center!